Resolution on Russia Submitted by the Finnish PEN Centre and seconded by the Russian and Danish PEN Centres The Assembly of Delegates of International PEN, meeting at its 76th International Congress in Tokyo, Japan, 25th September- 1st October 2010, Notes that the Finno-Ugrian peoples within Russia are in a difficult position. 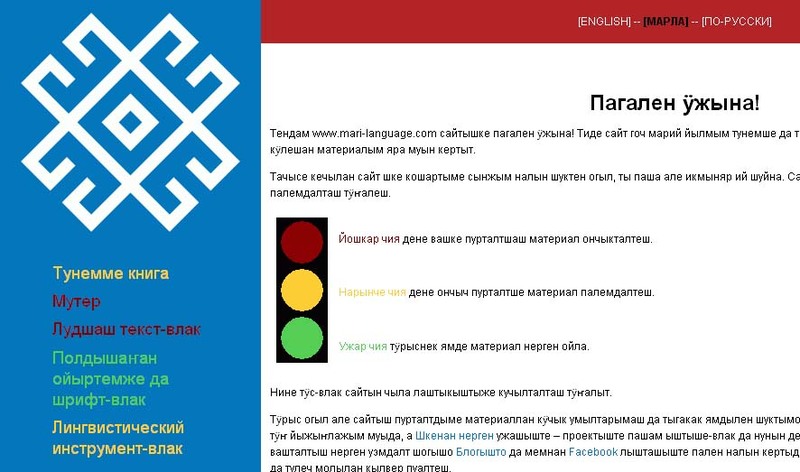 We at the Department of Finno-Ugric Studies at the University of Vienna are pleased to announce the launch of the website www.mari-language.com. This web portal aims to provide both foreign students of the language and native speakers free access to much-needed linguistic materials.